My friend Sam is forever clearing off the top of his desk. When he finally gets it into some orderly shape, the next week it looks even worse. 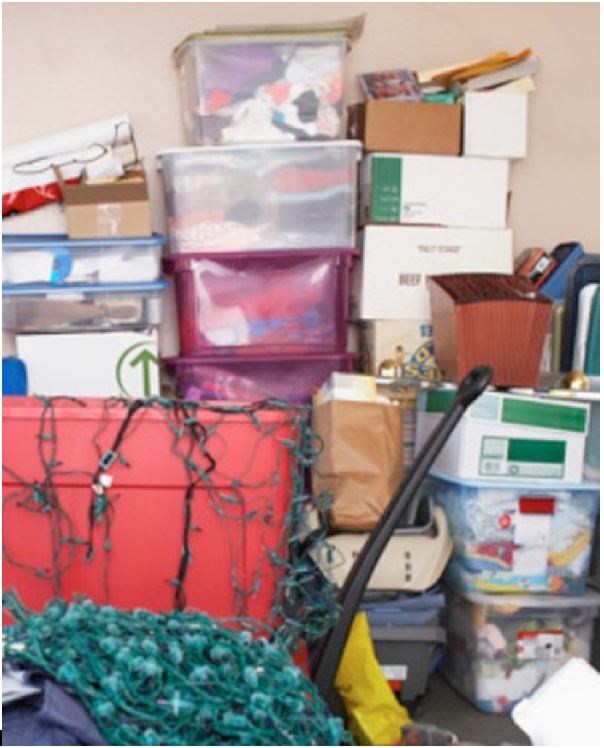 He is forever stacking something or other that needs sorting, sifting, filing or discarding. His piling never ends. Sam’s desk can look a lot like the pathway of our spiritual journey. It always seems to need a little cleaning here or a getting rid of a huge pile over there. In our lives, clutter finds us too easily. Often we trip over mounds of anxieties, resentments, and worries along with our stacks of useless fears, worries, and "old" painful hurts. Clutter keeps us absorbed in self and not in God. When this happens, we are oblivious of the blessings and goodness God keeps sending our way. It takes trust in a loving, merciful God to help us toss away all our clutter and make room for God. But it can be done, and God gives his gift of grace to give us the strength we need. But we have to do this sensibly. We need patience, prayer and perseverance to rid ourselves of the little annoyances we pick up over a lifetime of traveling. St. Francis de Sales advises: Be patient with everyone, but above all with yourself! Place that saying with this other wisdom from de Sales: Think only of today for when tomorrow comes, it too will be called today and then we will think about it. Putting these two great maxims together can give us a great plan for excellent housekeeping. Why not give them a try!!! Sep 30 The Powerful Touch of Pope Francis!